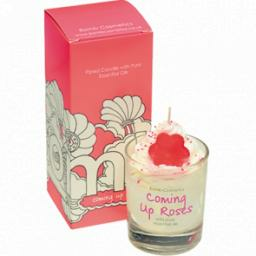 Coming Up Roses Whipped Candle. A sensual floral scent, with hints of opulent roses and fresh flowers with Rose and Lavender Pure Essential Oils. Burn time of 30 to 35 hours.